TUESDAY, Oct. 20, 2015 (HealthDay News) -- The heart ages differently for women and men. And this suggests a possible need for gender-specific treatments, according to a study published Oct. 20 in the journal Radiology. "The shape of the heart changes over time in both men and women, but the patterns of change are different. 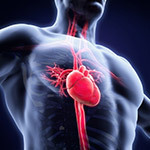 Men's hearts tend to get heavier and the amount of blood they hold is less, while women's hearts don't get heavier," study author Dr. John Eng, from Johns Hopkins University School of Medicine in Baltimore, said in a journal news release. "We've been talking a lot lately about personalized medicine, and here's an example where perhaps men and women might have to be treated differently," Eng said.